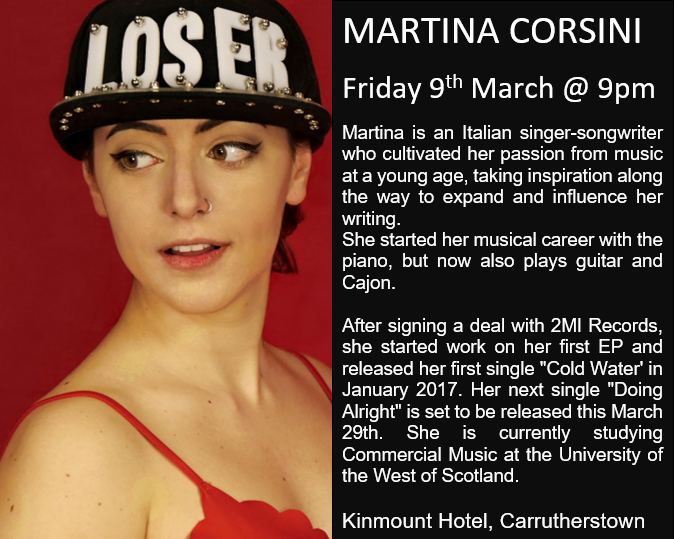 We are delighted to announce that upcoming artist Martina Corsini is coming to our little pub. YES really!! Please bring your friends and support her. Friday 9th of March at 9pm. Previous PostPrevious Could LOVE be in the air……? Next PostNext Blind Date – when Bob met Laura….